Getting your engine maintenance performed according to the factory recommended schedule can improve your car’s performance, increase its gas mileage, and lengthen the time between serious repairs. 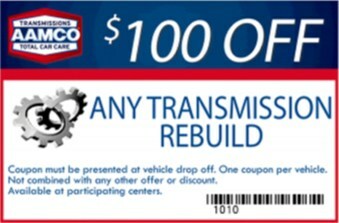 At AAMCO Transmission and Automotive Repair of Plano, we would rather see you every few months for routine maintenance that keeps your car on the road, than once every few years when your car needs serious repairs. You will save money and your car will be more reliable, and you’ll be much happier if you follow the regular maintenance schedule recommended by the manufacturer. 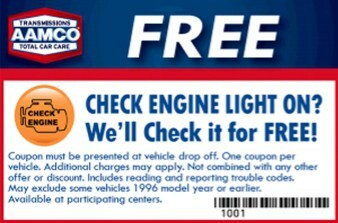 If it’s time for your regular maintenance, please call (972) 633-1590 FREE or schedule an appointment at AAMCO in University Park to get your maintenance performed. Many people give their new car all the loving attention it needs, but over time become less diligent about maintenance by the time your manufacturer’s warranty has expired – just when it’s most critical! Your car’s manufacturer wants your car to run well and have a long life. It’s good for their reputation and it’s good for you, too. That’s why they create detailed maintenance schedules outlining specific operations to be performed on various components and systems. Every maintenance operation is timed, either in mileage or in years, so it will be done before a component is expected to fail. In addition to regularly scheduled maintenance, it’s a good idea to get your car tuned up at least once a year or very 30,000 miles. A tune-up is different from maintenance: it is designed not just to prevent malfunctions, but to keep your car performing at peak level. Your car will not only have better acceleration, it’s likely to have significantly better gas mileage, up to a 10% improvement. Plus our 36-point ProtectCheck Inspection that evaluates all of your vehicle’s critical systems to ensure they are in good working order. 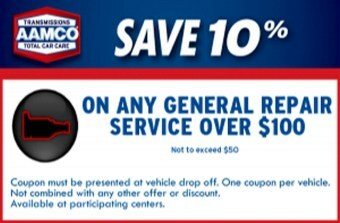 If your vehicle is due for maintenance, please contact AAMCO Transmission and Automotive Repair of Plano in University Park to schedule a maintenance appointment today.